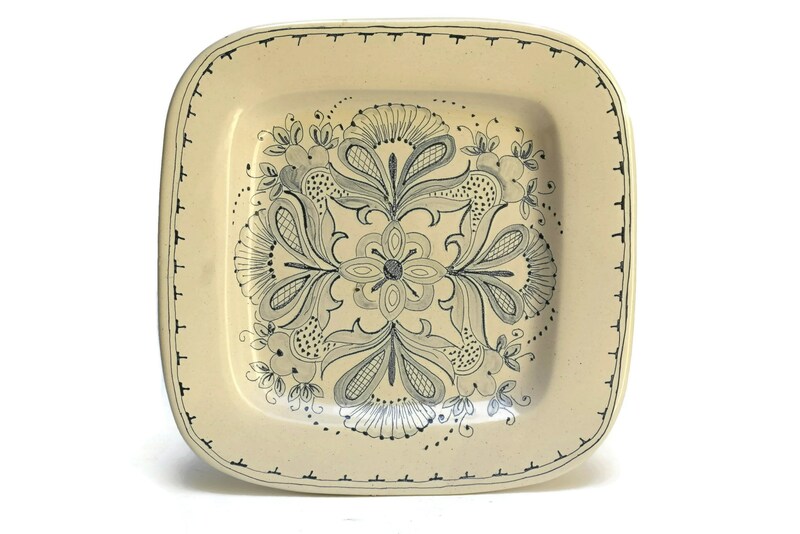 A charming vintage blue and white ceramic wall plate created by the Italian pottery studio Grilli Gubbio. 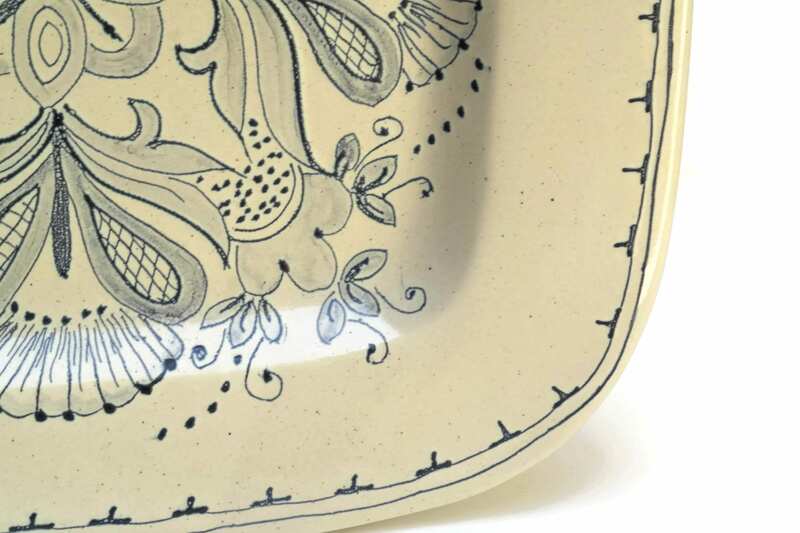 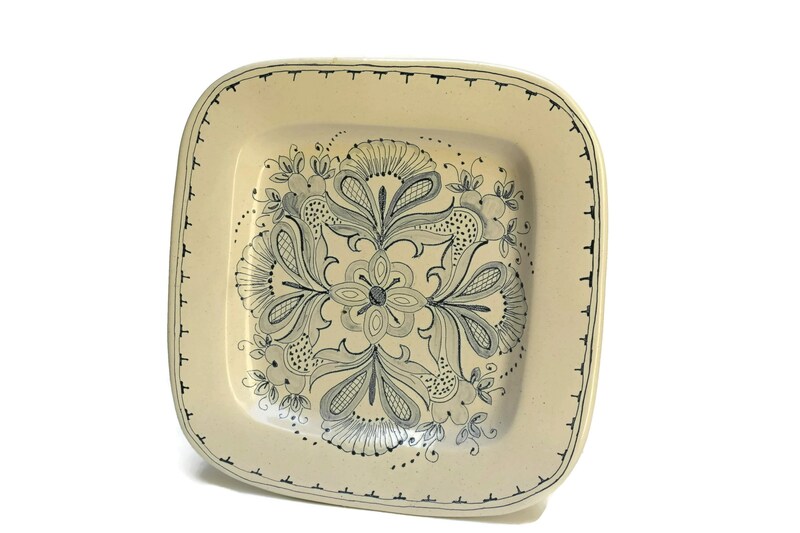 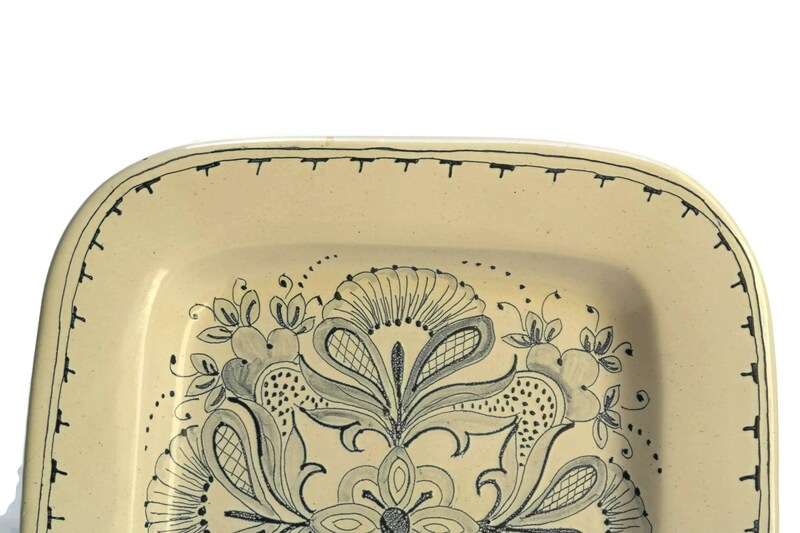 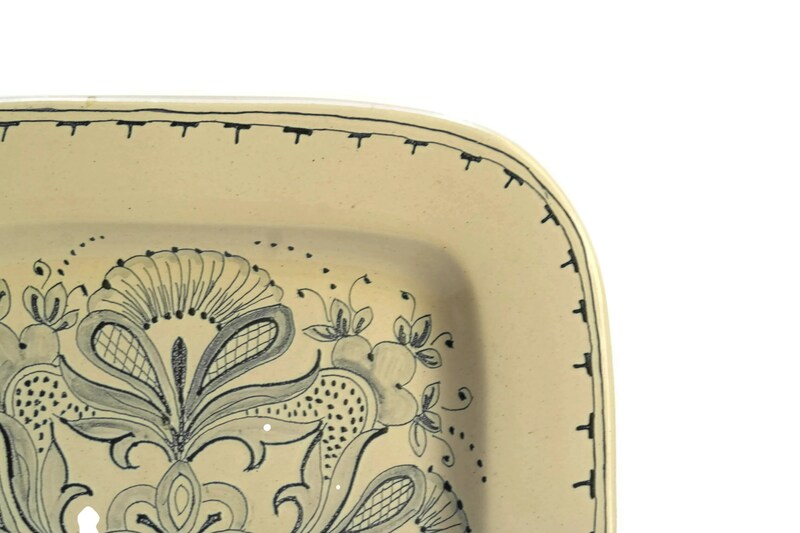 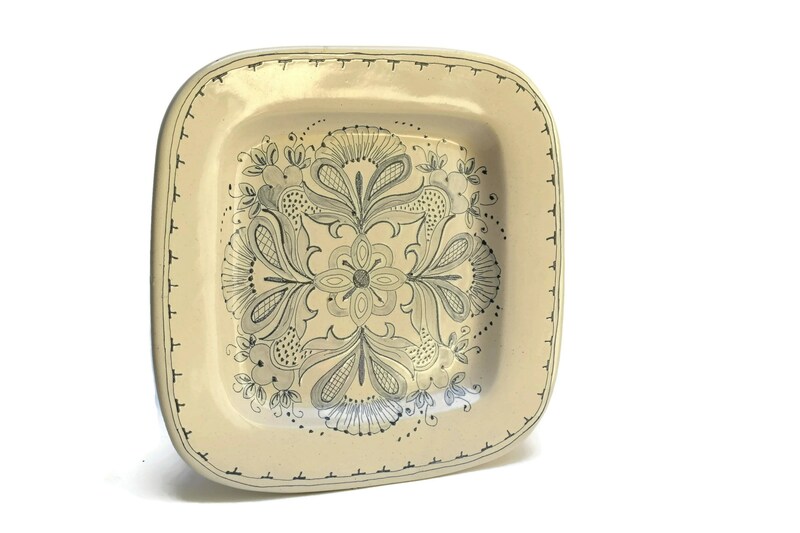 The large rustic square platter has been hand decorated with traditional flower patterns in a shade of blue on an off-white backgroung. 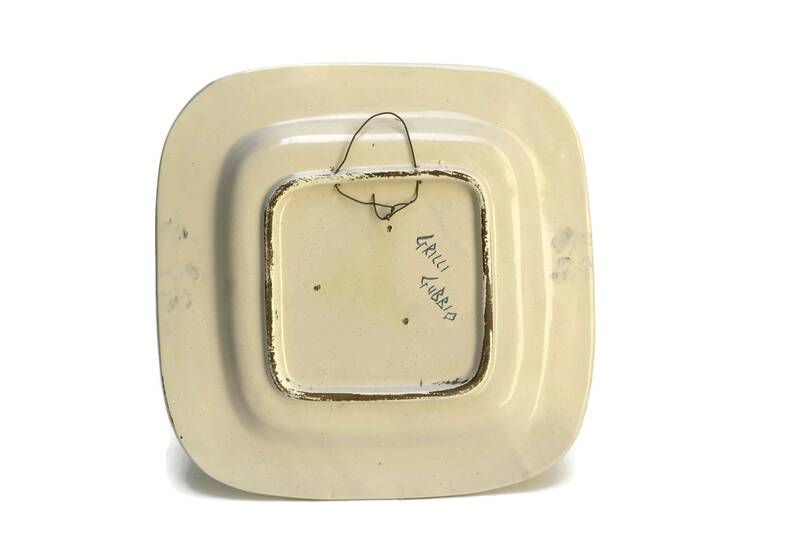 There is a hanging wire attached to the reverse side to allow for the plate to be displayed as kitchen wall decor. 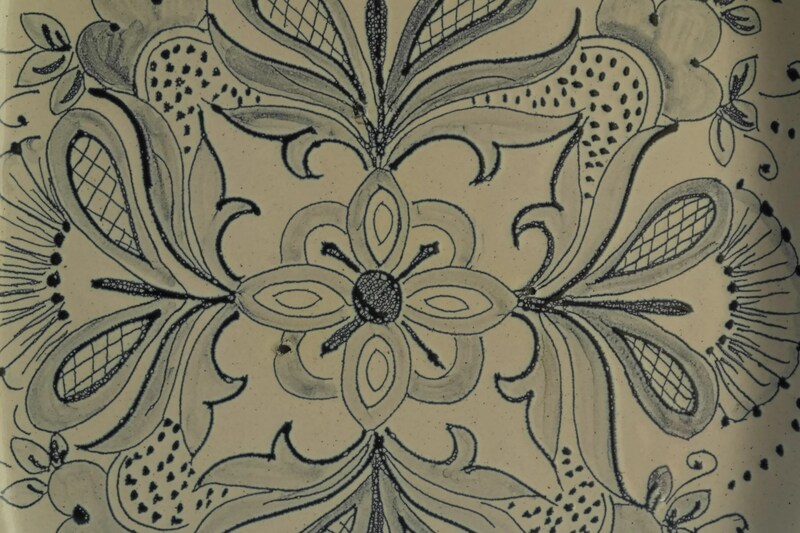 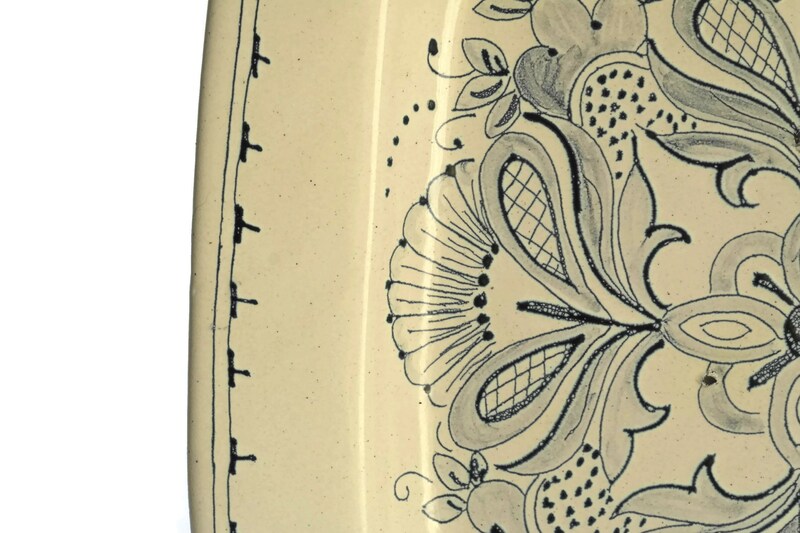 The underside of the glazed ceramic plate has been stamped with the manufacturer's marks. 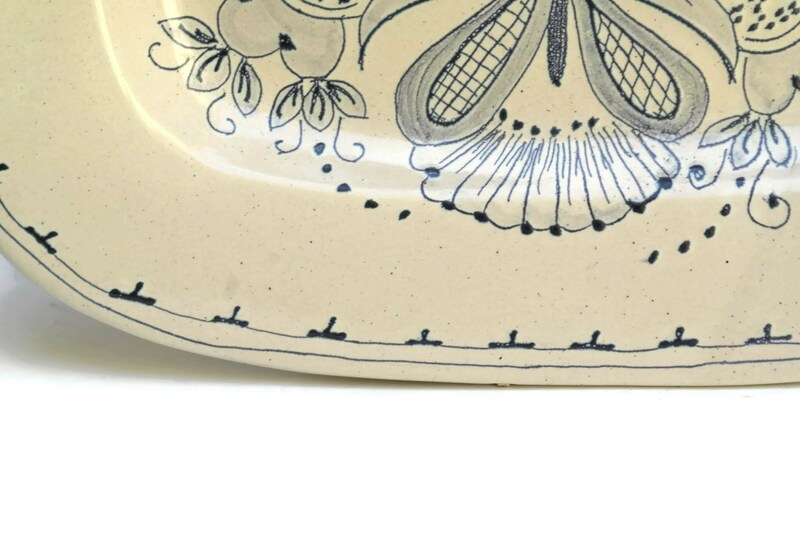 The blue and white ceramic plate is in very good antique condition with light signs of wear and age.